But, in its early release of the Annual Energy Outlook for 2012, the U.S. Energy Information Administration (EIA) cut its estimate of technically recoverable resources of U.S. shale gas from 827 tcf to 482 tcf. (That says little about whether all those resources will be economically recoverable.) Much of the decline in the EIA estimate comes from a downgrading of the Marcellus Shale, by far the largest of the U.S. shale gas deposits spanning vast areas of New York, Pennsylvania, and West Virginia as well as sections of Ohio, Kentucky and Tennessee. The downgrade resulted from extensive drilling results now available as the rush to extract gas from the Marcellus Shale accelerates. The EIA cut its estimated technically recoverable resources from 410 tcf to 141 tcf. This estimate remains well in excess of last year's estimate from the U.S. Geological Survey which put those resources at 84 tcf. Despite the revisions, the American Petroleum Institute (API), the oil and gas industry's trade lobby, finds the 100-year figure so irresistibly round that API resists reducing it to match the official estimates in its recent ad campaign (see "One Million Jobs"). Why let the facts get in the way of good ad copy? What ought to be acutely troubling is that the history of revisions to oil and gas resources has heretofore been one of increases. For the first time, we are now seeing not just downward revisions in estimated natural gas resources, but drastic downward revisions. That should tell us that the era of unlimited horizons for fossil fuels has come to a close. All the advanced technology that was supposed to bring unending plenty in the form of fossil fuels is now giving us better estimates of what will be available, namely, not nearly so much as we thought. Meanwhile, in other areas of the world the hype surrounding shale gas is also being deflated. Exxon Mobil Corp. recently announced that two exploratory wells that it drilled in Poland--a country thought to be rich in shale gas--were duds. The company had already abandoned a $75 million investment in Hungary in 2009 after drilling in so-called tight sands yielded more water than gas. Shale gas drilling in Europe is now revealing what was earlier revealed in the United States. The industry's so-called "manufacturing model"--the idea that one could sink a well virtually anywhere in a shale gas deposit and get economically viable flows--is being discredited all over again. Former U.S. Speaker of the House Tip O'Neill once said, "All politics is local." It turns out that all shale gas drilling is local as well. Shale gas fields have sweet spots worth exploiting, but also contain vast areas that will likely never be economical to produce. As the news about future supply becomes more downbeat, the hype from industry-friendly media only seems to increase. 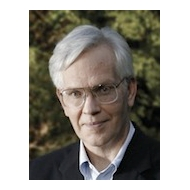 Take climate change denier Patrick J. Michaels of the Cato Institute who recently wrote in The Washington Times: "The discovery of hundreds of years of natural gas in worldwide shale deposits guarantees that solar and wind will never produce much of the world’s power." 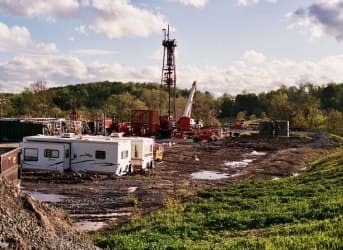 As new wells in the world's shale gas fields continue to disappoint, prepare for even more outrageous claims about future natural gas supplies--measured perhaps not in centuries, but millennia--and designed to obscure the failure of shale gas exploration results to match the industry's persistently optimistic forecasts. Russia Behind Bulgarian Anti-Fracking Protests? Thanks Kurt. Thanks for this thoughtful article. Yes, something is very definitely wrong where shale gas is concerned. is being alleged in this opinion piece. Thank you for this article Kurt. It's straightforward. Why we would rely on an estimate from an industry consortium is beyond me. Not surprised it was hyper-inflated. Now so much damage has been done. I hope people wake up to other misconceptions they have been exposed to. The thing I don't understand is what is a fossil fuel.Oil and natural gas are not fossil fuels.Oil is made out of calcium carbonate,iron oxide,and get this water. Drill down far enough you hit oil, all we'll ever need.